VNRE – Revisions to the Housing Law allowing Viet Kieu (overseas Vietnamese) to buy houses freely in Vietnam are not yet in effect, owing to tardy promulgation of implementing instructions. Decree 71, which guides the implementation of the Housing Law, declares that from August 8, 2010, Viet Kieu who have not given up their Vietnamese nationality can possess houses just like Vietnamese citizens, i.e, they can buy as many villas as they wish. Other people of Vietnamese origin, even if they have explicitly given up their nationality, have been accorded the same right to home ownership if they make a direct investment in Vietnam, have distinguished themselves in some way, have special skills, or who have married a Vietnamese citizen who lives in Vietnam. However, it seems that the ‘open door’ is still shut. There’s been no substantial change in the number of Viet Kieu who have bought houses in Vietnam. 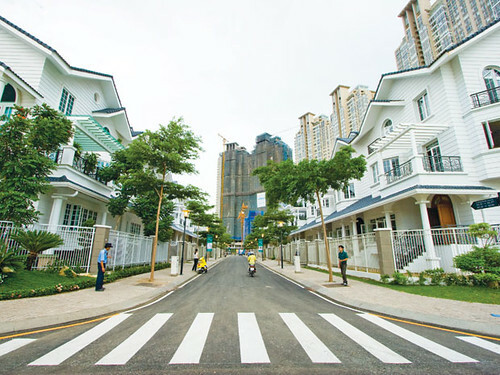 Nguyen Ngoc My, head of the Overseas Vietnamese Businessmens’ Club, says though the general instructions on Viet Kieu rights to purchase homes went into effect on 8 August, local authorities are still awaiting a circular stipulating the detailed procedures for house purchases. The circular is supposed to be issued at the end of September. Ngo The Vinh at Vinh Gia Real Estate says that in actual fact, Decree 71 will not change the situation much. Many Viet Kieu prefer to buy and register houses under the names of relatives, so that they will not be troubled by tax liabilities or other obligations. The Ministry of Construction calculates that 70 percent of the four million Viet Kieu retain their Vietnamese nationality. Before the new decree took effect, after nine years of allowing certain Viet Kieu to purchase houses in Vietnam under the predecessor Decree 81, only 140 Viet Kieu had purchased houses in their own names. Dr, Nguyen Quang Tuyen at the Hanoi Law University says the new Decree 71 is unlikely to trigger a surge in demand for villas and apartments. “Never underestimate the amount of red tape something like this can generate,” he explains. Huynh Dang Nhut, a Viet Kieu living in Hanoi’s Tay Ho District, told Thoi bao Kinh te Vietnam that when he heard the Government now allows Viet Kieu to possess houses in the country, he returned to Vietnam to buy a villa. However, the local authorities refused to issue ownership certificates, saying that he could not present necessary documents. “I was told to wait until circulars are enacted by the concerned ministries,” he said. So, what did Nhut do? Nhut revealed that he purchased a 2000 square metre plot in Dinh Cong urban area in the name of a cousin. He built five villas there which he is leasing for several hundred million dong per month. 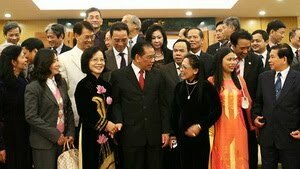 Vnre.blogspot.com – Effective August 8, 2010, overseas Vietnamese who still hold Vietnamese citizenship can own any number of houses in Vietnam. Government decree 71 on the implementation of the Housing Law resolves many issues related to the ownership of houses of overseas Vietnamese (Việt kiều). Specifically, they will be allowed to buy houses as many as they wish if they still hold Vietnamese citizenship. That category includes Viet kieu who bear foreign passports but have documents proving that they have not lost their Vietnamese citizenship. Certain other Viet kieu will also have the right to buy and sell houses in Vietnam freely. These include Viet kieu investors, Viet kieu who contribute to Vietnam’s development, are scientists, cultural experts, experts in ‘fields that Vietnam needs,’ or are married to Vietnamese citizens who live in Vietnam. People of Vietnamese origin who don’t belong to the above categories but have been granted a visa exemption certificate are allowed to buy one house or one apartment in Vietnam. Bearers of Vietnamese passports that are still valid need only show documents proving their temporary residence in Vietnam, certified by local police where they live. Those who bear valid foreign passports must present documents that prove their Vietnamese citizenship (usually a document issued by a Vietnamese embassy in their current country of residence) and temporary residence card or passport with a certificate of temporary residence or a stamp allowing them to live in Vietnam for at least three months that has been granted by the Vietnamese immigration agency. Viet kieu wishing to buy more than one house in Vietnam must show their valid foreign passports; documents proving their Vietnamese origin; documents proving that they belong to the group of people with Vietnamese origin who have the right to own houses without restriction in Vietnam as explained above; and temporary residence card or passports with certification of temporary residence of at least three months. Viet kieu wishing to buy only one house or one apartment in Vietnam must show their valid foreign passports, documents proving their Vietnamese origin, visa exemption document and temporary residence card or passports with certification of temporary residence of at least three months. Vnre.blogspot.com – Overseas Vietnamese or Viet Kieu will be offered favorable conditions for buying a property in their homeland in the coming time under new regulations in the Decree 71/2010/ND-CP, which will take effect on August 8. “Unlike previous rules providing a general frames, new regulations are clearer, offering more favorable conditions for Viet Kieu who wants to buy a property in Vietnam,” lawyer Truong Thi Hoa told the Daily when asked on Tuesday for a comment on the new decree. Accordingly, Viet Kieu can buy or receive an unlimited number of houses as gift and inheritance if they are of Vietnamese citizenship and their Vietnamese passports are valid. In case they are Vietnamese descendants and hold foreign passports, they must produce one of the documents certified by authorized organizations proving that they are Vietnamese. In addition, they should be either direct investors, or those recognized to have made contributions to the country, or cultural activists, scientists, highly-skilled people and those whose spouses are Vietnamese. Hoa cited the Law of Nationality saying that to benefit from the new policy, they have to register to continue holding their Vietnamese nationality before July 2014 once their Vietnamese passports are invalid as of July 2009. She highlighted a new provision in the new decree, saying it allows Viet Kieu to receive a transfer of land use right in housing projects developed by real estate companies to build houses for their own and families in Vietnam. “This helps create an equal platform for homebuyers who are both Viet Kieu and locals,” Hoa says. The lawyer, however, wondered whether Viet Kieu can access bank loans, like locals, to buy their properties or not. The new decree does not mention that. “I think they should be allowed to access loans because it is not all Viet Kieu who are rich enough to buy houses in Vietnam without having financial support,” Hoa said, adding that is the way encouraging them to bring money from abroad to the country. However, those who are not in the above group will only be allowed to buy a single house or apartment in Vietnam, and when they receive another property as a gift they can give or sell to others for money. The lawyer noted a limitation in the decree saying that for those who are allowed to own a single property, once they are found violating the regulation, they will be forced to resell their properties within 120 days. That means they will be stripped of their housing ownership in Vietnam. Tran Hoa Phuong, vice chairman of the Overseas Vietnamese Committee in HCMC, told the Daily on the phone that he was upbeat about the new decree as it helped concretize procedures to translate the issue into reality, as well as to create a clear mechanism for Viet Kieu buying houses in Vietnam. “Many of them have bought houses in the country under their relatives’ name for years,” Phuong said. Phuong said the committee had plans to inform the new regulations to Viet Kieu living in countries around the world in the coming time. According to a preliminary statistic released late last year, there are some four million overseas Vietnamese living in 100 countries around the world. Some half of them used to live in HCMC. Last year, oversea remittance was recorded at US$6.8 billion. Hundreds of thousands of Viet Kieu (overseas Vietnamese) return to Vietnam in January or February each year to celebrate Tet in their former homeland. Typically, that’s also a time for them to find and purchase houses in Vietnam. This year, however, reports Saigon tiep thi, it seems that the number of Viet Kieu who plan to buy houses here is rather modest. According to the HCM City Committee for Overseas Vietnamese, a lot of Viet Kieu, especially Viet Kieu from the US and Western Europe, have come recently to ask about the procedures to purchase houses in Vietnam. However, the ‘open door policy’ on allowing Viet Kieu to purchase houses in Vietnam has not yet created a buying wave. According to Tran Hoa Phuong, Deputy Chairman of the HCM City Committee for Overseas Vietnamese, since 2006, only about 140 Viet Kieu have purchased houses in Vietnam. One hundred of these were in HCM City. In 2009, only ten Viet Kieu are officially recorded as buying houses in Vietnam, mostly in HCM City. These numbers are clearly ‘modest’ relative to the more than four million Viet Kieu living abroad. Pham Quang Hai, Head of the Real Estate Transaction Division from Vinaland Phu My Hung confirms that very few Viet Kieu used his company as a consultant on real estate purchases last year. “Many people asked for information but they did not buy,” he said, adding that in previous years, many Viet Kieu purchased houses at the Phu My Hung project in South Saigon, including some who bought five or six houses as rental properties. The director of a HCM City real estate company believes that the global economic crisis has reduced the incomes of Viet Kieu. Therefore, they have less to spend on purchasing houses or making investments in Vietnam. The director said problems in the policies relating to real estate trading have discouraged many potential buyers. The case of Nguyen Hang My Hoa, now living at 224 My Kim 1 Street in Phu My Hung, typifies the complicated policies relating to Viet Kieu house purchases. Hoa bought her villa in 2002, but in her nephew’s name. “The policy was so complicated, while I really wanted to have a house to live because I decided to return to Vietnam. I had no choice but to use my nephew’s name,” she said. Finally, Hoa’s name was written down in the house purchase documents after she regained Vietnamese citizenship in 2003. However, Hoa is still waiting for her house ownership certificate. Though official statistics show that only a modest number of houses have been sold to Viet Kieu, the number of houses owned they own is in reality relatively big. Real estate brokerage offices in Phu My Hung say that almost all Viet Kieu buyers continue to purchase homes in the names of their relatives. According to the National Committee for Overseas Vietnamese under the Ministry of Foreign Affairs said that some 500,000 Viet Kieu are expected to come to Vietnam to celebrate Tet this year. In 2009, kiều hối (remittances by overseas Vietnamese) to Vietnam is estimated to reach about 6.3 billion dollars, only 87 percent of 2008 remittances. Chairman Ngo Duong Hoang Thao of Dai Dong Duong Consulting and Investment Company observes that a large number of Viet Kieu have assets of upwards of five hundred thousand to one million dollars. For them, Vietnamese real estate is a favored investment. Thao notes that notwithstanding the expansion of the right to purchase houses in a law passed by the National Assembly last June, there are still some unclear provisions in the policies relating on Viet Kieu house ownership. Phuong, the HCM City official, points out that the Government has yet to issue concrete guidance to officials who implement the new policy on Viet Kieu house purchases, though the law went into force on July 1, 2009. Typically, he said, Viet Kieu do not know which agencies they need to contact to obtain necessary documents to be able to purchase houses. House in Hands, originally uploaded by Kiva.Dang. 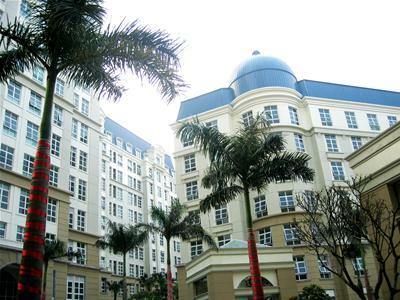 Viet Kieu (overseas Vietnamese) will be allowed to purchase real estate in their own names from September 1, 2009. 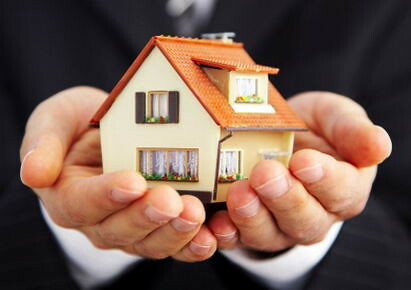 However, experts doubt the new policy will cause any immediate changes in the real estate market. Two months ago, Luong’s relative in Germany asked her to help buy another apartment on Hoang Hoa Tham street in Hanoi. According to Luong, the relative decided to invest money in real estate in Vietnam after he heard that apartment prices in Hanoi keep rising. Luong has purchased five apartments so far this year as ‘authorised’ by her Viet Kieu relatives. Luong said that when the new policy on allowing Viet Kieu to purchase houses in Vietnam takes effect on September 1, she will transfer ownership to the real owners of the apartments. Nguyen Van Tam, Director of GTC Real Estate, part of the TSQ Finance Group owned by a Viet Kieu in Poland, also thinks that when the new policy becomes effective, there will be more transfers of ownership than purchases. 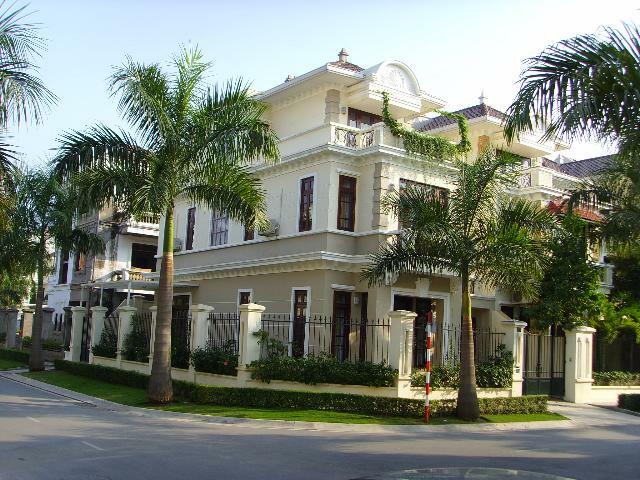 In fact, Viet Kieu have been purchasing houses, apartments and time-shares in Vietnam for a long time as investments. They are well-represented in the most attractive real estate market segments. The 13 hectare, $59 million ‘Viet Kieu Chau Au (European) Village’ is a 100 percent Viet Kieu-financed project east of Hanoi City, kicked off in 2007. Another high grade apartment project, TSQ’s ‘Euro Land,’ capitalized at $70 million, is expected to cover an area of 8,200 square metre in the Mo Lao new urban area west of central Hanoi. According to Tam, 35 to 40 percent of the buyers in Viet Kieu Chau Au village are Viet Kieu. Tam claimed that it is not clear if the Viet Kieu buy the houses and apartments for their own use or for speculation. However, he believes that many of them intend to live in the units because they have been keeping a close watch over the implementation of the project and adjusting the plans to their individual preference. It is estimated that 60-70 percent of buyers now will be buying the apartments from original buyers instead of purchasing directly from the investor. The apartments are offered at $1,000 per square metre, up from $900-920 per square metre. 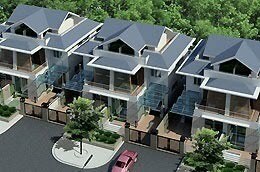 Villas are now on offer at 55 million dong (about $3000) per square metre. The director of a real estate brokerage said that speculators well understand the new policy and they have put down deposits on a lot of apartments and villas at the projects which they think will be attractive to Viet Kieu. However, they have been discouraged by the lower-than-expected influx of investment money from overseas Vietnamese buyers. Lam, a real estate broker, said that the market has been quiet over the last month with very few successful transactions. Commenting about the outlook for Viet Kieu buyers, Tam said that more sales will be made, but big changes won’t be evident when the new policy takes effect. In this market, so far characterized by ‘underground transactions,’ investors will spend some time watching to see how the new policy is implemented and defining the market tendency. Tam has sold units in Viet Kieu Chau Au Village. He doubts that Viet Kieu house purchases will affect the real estate market in short term. Not all Viet Kieu can afford real estate products in Vietnam. Some experts believe that the prices have been pushed up high by speculators. Tam said that Viet Kieu always think more carefully than Vietnamese people before they decide to purchase houses or apartments. At first, they will want to see how the revised law is implemented, and be confident that the market will develop in a stable way. According to the Ministry of Construction, only 140 Viet Kieu have officially purchased houses in Vietnam since 2001, when certain categories of overseas Vietnamese were permitted to purchase houses in a trial basis. However, the revised law drops virtually all restrictions on such transactions. That’s why experts believe that in long term, the real estate market for Viet Kieu will see strong growth. In 2008, the members of the Vietnamese diaspora sent $8 billion in remittances to their relatives in Vietnam, an increase of 19 percent over 2007. Much of this money is invested in small businesses and projects. It is estimated that some 3,000 businesses which have capital contribution by Viet Kieu and 60 percent of such projects have been going profitably. The figures show the great potentials of the market and make people believe that Viet Kieu investors will put money into many more investment projects. Overseas Vietnamese (also known as Viet Kieu) now have the right to buy houses and land-use right in Viet Nam, after the National Assembly passed a series of laws and amendments yesterday. The changes, made to Article 126 of the Housing Law and Article 121 of the Land Law, will come into effect as of September 1, this year. Around 87 per cent of deputies voted in favour of the changes. Under the new rules, those eligible to own a house or an apartment in Viet Nam include Vietnamese people living permanently in foreign countries with Vietnamese nationality; foreigners of Vietnamese origin who invest in Viet Nam under the investment law or those who have made contributions to the country; overseas Vietnamese cultural activists, scientists and those with special skills who have been invited to work or who are working in Viet Nam; and those married to citizens living in Viet Nam. Overseas Vietnamese who are granted visa exemption certificates and are allowed to reside in Viet Nam for at least three months are also included in the group. Those eligible can also transfer their land use right when selling, presenting, or exchanging their houses with local individuals and organisations and Vietnamese residing in foreign countries eligible to own houses. They can also use their houses for charity purposes. Qualified overseas Vietnamese also have right to mortgage their houses at registered credit institutions in Viet Nam, and will be compensated by the State when the land is legally cleared for public use. Owners also have right to rent their property. The assembly also passed amendments and supplements to several articles of the Law on Cinematography with 93.51 per cent of votes. In relation to joint ventures in film production, distribution and promotion, the new regulation states that foreigners’ capital contribution is not allowed to exceed 51 per cent of the joint venture’s charter capital. The new law also includes specific regulations on conditions of distribution for domestic or imported films. Relevant authorities are required to examine the content of films before issuing them. Deputies also approved the Law on State Compensation Responsibility, and amendments and supplements to several articles of the Law on Cultural Heritage, and the Law on Vietnamese Representative Offices Abroad with an agreement rate of 92.09, 91.08, and 93.51 per cent. The same day, the National Assembly also discussed the Law on Radio Frequency. As stated in an official document, the rapid development of wireless in all fields, socio-economic, national security and defence, has increased the demand for radio frequencies, which means they have to be managed more effectively. Before 1990s, the use of radio frequencies were limited within military use, radio and television broadcasts. From 2000, wireless technology has been applied widely in mobile information, microwave transfers, satellite information, digital television, mobile television, and walkie-talkie systems for fishing ships, airport and guard teams. The draft law on electric radio frequency consists of eight chapters with 48 articles. The draft clearly identifies the responsibility of management bodies in improving effectiveness in management and legal enforcement. The draft law also sets up new management methods for radio frequencies based on market economy mechanism. The draft also regulates two new licence issuance: bidding or taking exams to win the right to use radio frequencies. Deputy Tran Du Lich from HCM City said radio frequency planning should be managed in a manner similiar to land planning, those who want to use a frequency will have to pay. Lich also suggested that management of radio frequencies used for national security and defence, for state management and for business purposes via mobiles and televisions must be clear. Technology and devices used in exploiting radio frequencies must be covered in the planning, Lich said. “The state must set up the orientation for this, and while issuing licences, make planning a compulsory part of using technology and devices in exploiting radio frequencies,” he said. Deputy Nguyen Thi Phuong Anh from Quang Nam Province agreed, saying the law must indicate the country’s strategy in using radio frequencies. “There is a limit for frequency bands and frequencies are becoming rare, so the law needs to regulate wireless devices to ensure their safety during operation,” she said. Regarding a suggestion to establish a national committee on radio frequencies, deputy Tran Thi Hoa Ry from Bac Lieu Province said such a committee should not be set up. Ry said the committee should not be set up to only provide consultancy and proposed a draft regulate the responsibility of relevant ministries in their sphere of operation, while the Ministry of Information and Communications should be in charge of consulting. Phan Xuan Dung from Thua Thien – Hue Province, meanwhile, said that the draft law should include regulations on working conditions for staff in the sector since there is a lack of human resources trained in dealing with radio frequencies.